Is IBF mandatory challenger Kubrat Pulev a genuine threat to IBF/WBA heavyweight champ Anthony Joshua? In actuality, yes he is, as ANY heavyweight who can punch is a threat to any other big man of the sport; but most experts and fans see the October 28 fight as a win for AJ. One person who naturally disagrees is Pulev’s promoter Kalle Sauerland, who tells Sky Sports how any young champion who is “learning on the job,” as is the case with Joshua, shouldn’t be messing around with his experienced fighter. Sauerland says Joshua has flaws and that Pulev will be looking to exploit them next month. Joshua is indeed still learning and there remain question marks about him. However, the 19-0(19) star answered a good many of these questions in his last fight: the up from the deck, gutsy showing against Wladimir Klitschko (the only man to have beaten 36 year old Pulev at pro level; via 5th round KO in November of 2014). But will Joshua have improved as a fighter due to that gritty showing against Klitschko, who was, at the time the most experienced heavyweight in the sport? And can Pulev take Joshua’s bombs, the ones Klitschko couldn’t take? 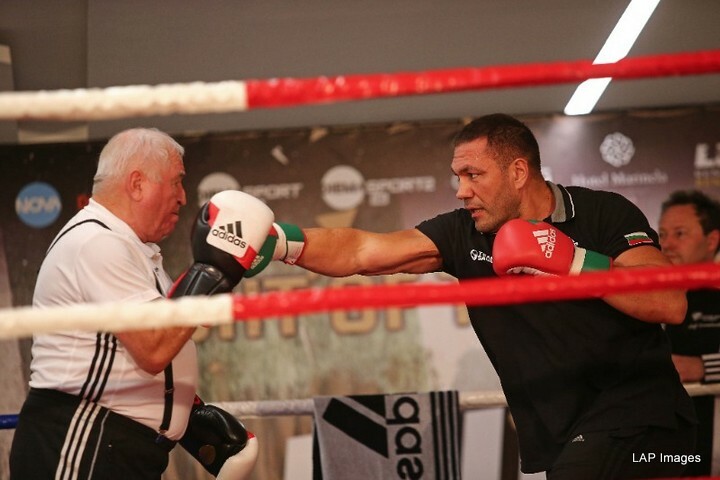 Pulev, 25-1(13) is likely to have his moments in the upcoming fight and it will be interesting to see how AJ paces himself this time around, how he will react if he does get tired. Pulev is a very strong man, but Joshua might not have too tough a time locating his chin. I’m sticking with my prediction that says Joshua wins via mid-rounds KO.